There hasn’t been this much fanfare over a club opening in recent years but then again, Marquee is no ordinary nightclub. 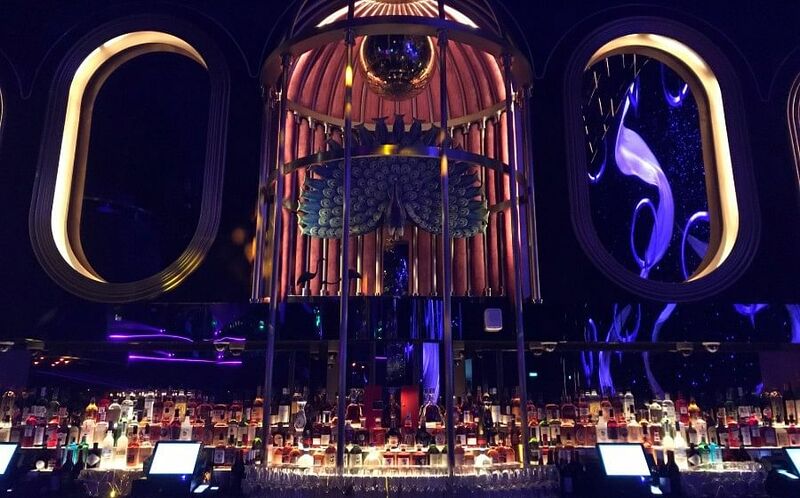 At 2,300 sq mof debauched fun, it’s more than twice the size of Singaporean nightlife stalwart Zouk. 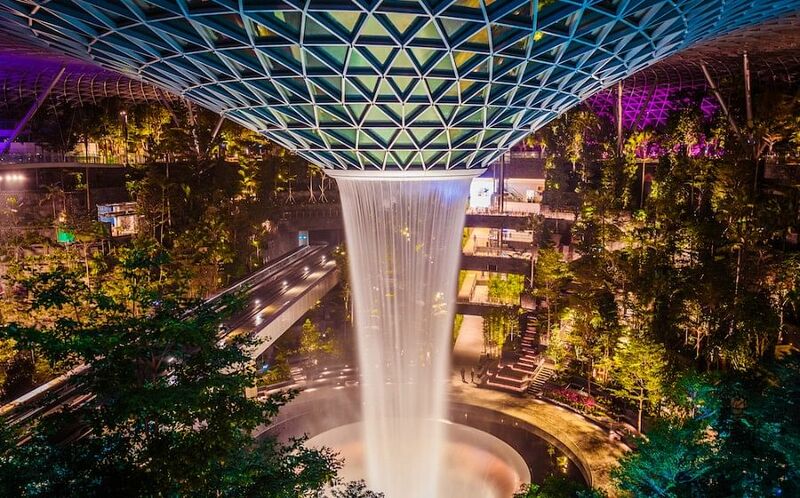 A world-class entertainment venue by TAO Group and Marina Bay Sands, Marquee Singapore is fourth edition after Las Vegas, New York and Sydney. Here are the 7 things we found out about this carnivalesque mega-club. TAO Group co-founders Jason Strauss and Noah Tepperberg were truly cut for this business, finding success early on as party planners, back when they were just college students. So much so that they eventually decided to tell their not-yet-convinced parents their plans to segue into running their own clubs. It didn’t take long for the boys to prove they weren’t playing around; they both bought their own apartments at 22. 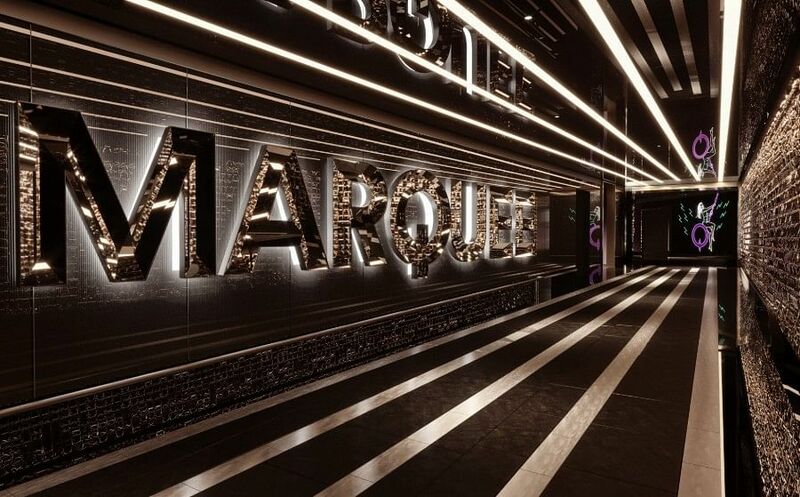 Marquee Singapore was conceived as an adult playground centred around a carnival theme. The lofty 30-m ceiling height was not only able to accommodate a three-storey slide, but also an instantly iconic eight-armed ferris wheel. Each of the capsules is also a four-person photo booth, where revellers can commemorate their night with trendier-than-thou wefies, customise them with different effects and send them to yourselves. Of course, this is if you can even get on one of those capsules - there was an absolute beast of a line at the opening last night. Once you’re in though, you have approximately 14 minutes to get those cameras flashing - that’s how long it takes for the ferris wheel to complete one revolution, according to its friendly attendant. Oh, and don’t forget to take in the views from the very top - we heard it was quite spectacular. Speaking of pictures, keep those mobile phones handy while you’re zooming back down to the dance floor in those spiraling slides because those kaleidoscopic tubes are literally built for Insta-stories - the lights change as you progress down the slide. There are two of them so grab a slide buddy, put your drink down before you hop on, wait for the “traffic light” to turn green and see who emerges three stories below first. The first thing that’ll catch your eye is the massive, ultra high-definition, 32 million pixel LED screen that wraps around the dance floor. Boasting an eye-popping 8k resolution, it’ll display crystal clear videos that’ll be customised according to the DJ spinning that night. Marquee isn’t just impressive in size; the state-of-the-art technology it has harnessed for the club is so cutting-edge, it won’t even be available to regular consumers until 2023, according to Tepperberg. The custom visuals and animations are created by industry leader Visual Artform, famous for their work at some of the biggest music festivals like Coachella. Even the iconic Marquee disco ball has been reimagined and reworked by design studio ICRAVE with a dynamic ceiling lighting system that’s programmable to the rhythm of the night. Any club would be incomplete without its watering holes, so Marquee has four bars, accessible from all three floors. Two fairly standard ones flank the dance floor on the first floor and one installed right next to the entrance of the ferris wheel so you can keep hydrated while waiting in line in THE BIG Q. Our favourite though, was the more elaborately designed Peacock Bar on the second floor, with beautiful peacocks in huge brass cages behind the counter. Apparently inspired by Moulin Rouge, it was also one of the best spots to hang out - you’re still close enough to the dance floor, but also have a great vantage point to take in the rest of the club, whilst staying within spitting distance of your next drink. There are no shortage of celebrity DJs helming the deck at the mega club - global superstar Tiesto kicked off the festivities at Marquee Singapore’s big opening night on Friday (April 12). Over the next few weekends, the stellar line up includes some of the biggest names of dance music - Steve Aoki, A$AP Rocky, Above & Beyond, Kaskade and Showtek. 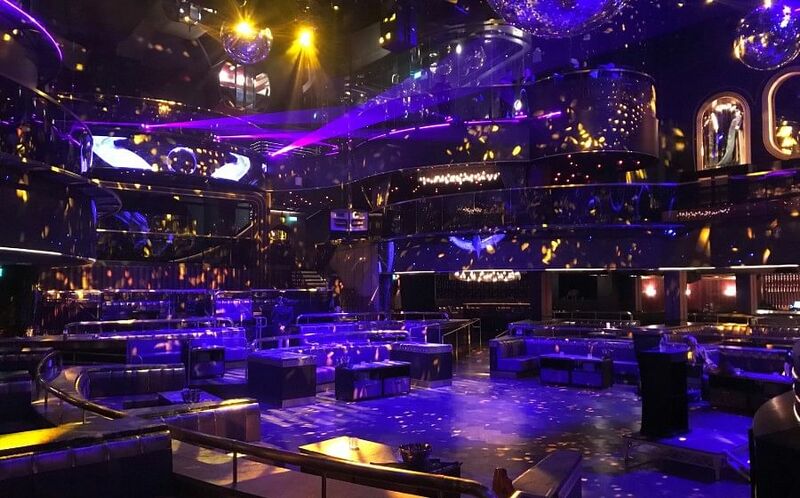 Marquee Singapore is nightlife and entertainment giant TAO Group’s latest venue and the brand’s first foray into Asia. 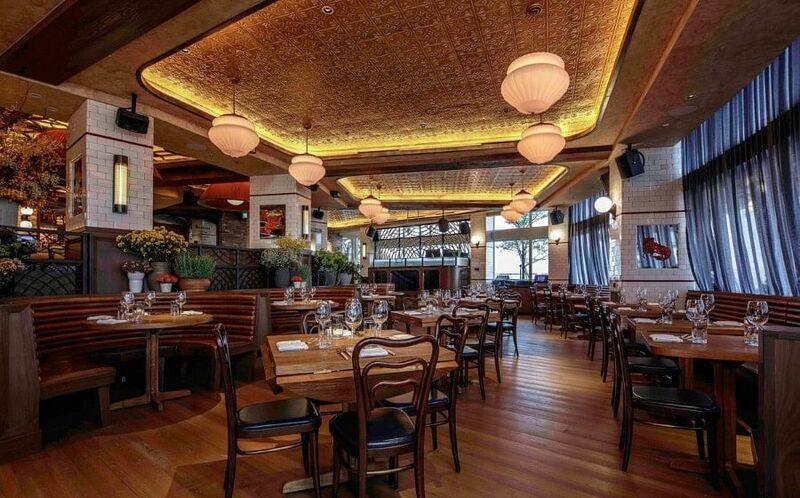 Joining Lavo, the Italian restaurant and rooftop bar on the top of Marina Bay Sands, the club is the second in a planned four-venue launch, which also includes Avenue, a speakeasy-style lounge below Marquee, as well as, Koma, a plush Japanese restaurant and sushi bar. 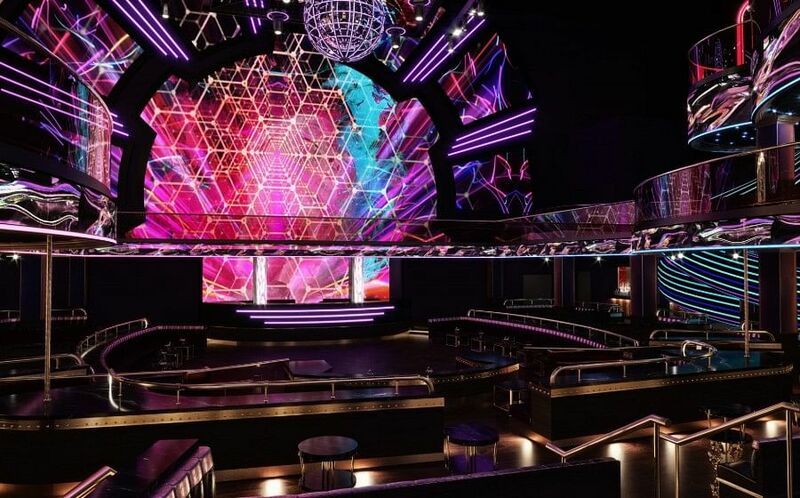 The media was treated to a sneak peek to the other two venues on 11th, a day before the club’s grand opening, and anticipation is high. Avenue, which will be accessible via a separate entrance from the street, is relaxed but playful, with intimate sofa seating, a pool table, pinball machines and even a small bowling alley. Koma, on the other hand, is a brand new dining concept that TAO is debuting in Singapore, which will round of what Strauss describes as “one-stop entertainment”, starting with dinner at Koma, drinks at Avenue then dancing the night away at Marquee. 6 tips for a flawless makeup look from Korean beauty guru Pony!